We learned an interesting bit of Led Zeppelin trivia the other day speaking with George Criston, vocalist and sole Yank in the Canadian hard rock outfit, Kick Axe. Talking about Axe's soaring version of the Beatles' "Help From My Friends," George related, "That's how Jimmy Page and John Paul Jones got together. To rearrange, for Joe Cocker to do at Woodstock, that song. From that, Zeppelin started." Kick Axe's version comes with an entirely different story. Welcome to the Club is the band's followup to their first LP, Vices, that broke them pretty big throughout the world. It sold respectably in the US, went gold in Canada and even spent some time at the number one spot on the charts in Warsaw, Poland! The new LP is the cream of the crop, culled from over 75 songs the band had to choose from, and reflects a real progression for the group. Not that all the good-time, Kick Axe attitude that made the first so jmuch fun is gone. Not at all. It's just that, as Criston says, "Now you can tell that it's closer to vinyl. All of our ideas are going to tape now." This confidence, combined with the continued direction of executive producer Spencer Proffer (of Quiet Riot, John Butcher Axis and Pasha Studios fame) all make for a deadly brew. "Welcome to the Club," Criston explains, "has to do with, ever since you're born, right, you're going to be a hell raiser. I mean, even little kids are hell raisers, right? It's a part of life," he claps his hands mimicking a baby's first rude awakening, spank, "welcome to the club." 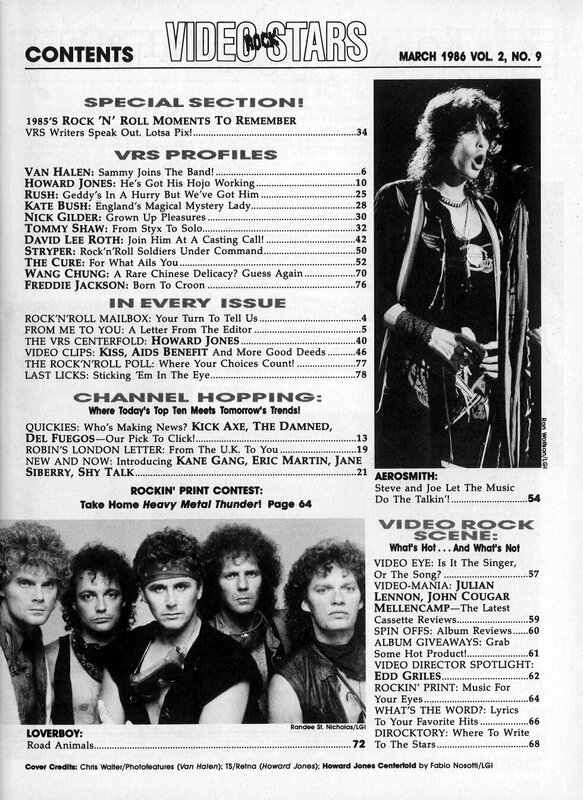 This batch of rockers, from "Hellraisers" (explained, it seems, above) to "Too Loud, Too Old" - which lends itself perfectly to a Twisted Sister-type video treatment - is the kind of stuff that, perhaps coincidentally, Quiet Riot made their name with a couple of years ago. Heavy metal anthems for a new generation of headbangers. So much for heavy metal being dead, eh? Criston, who as a kid used to lead the choir in church on Sunday (that means that church leads to heavy metal, eh, Tipper? ), says that he's known from the first slap himself, what he was going to do. "The old doctor pulled me out, first thing, slap!, I knew ... that was it. Heavy-metal-shuffle-scream came right out of there." 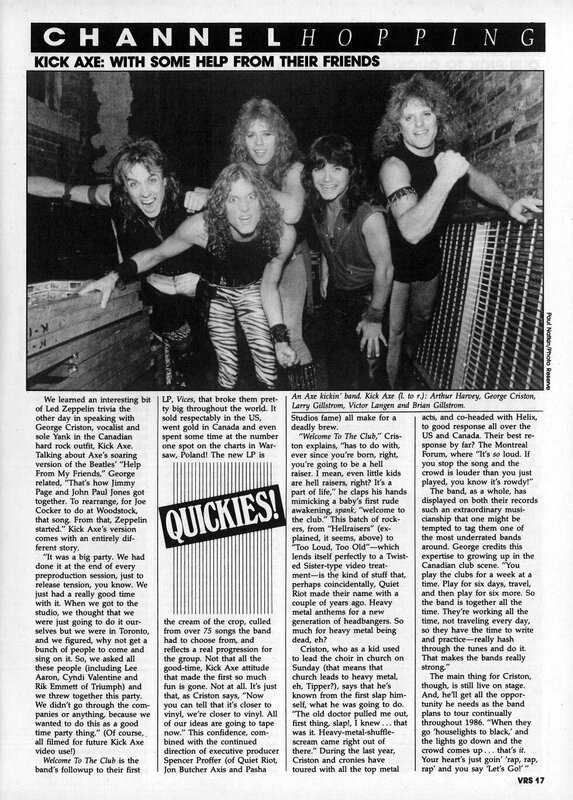 During the last year, Criston and cronies have toured with all the top metal acts, and co-headed with Helix, to good response all over the US and Canada. Their best response by far? The Montreal Forum, where "It's so loud. If you stop the song and the crowd is louder than you just played, you know it's rowdy!" The band, as a whole, has displayed on both their records such an extraordinary musicianship that one might be tempted to tag them one of the most underrated bands around. George credits this expertise to growing up in the Canadian club scene. "You play the clubs for a week at a time. Play for six days, travel, and then play for six more. So the band is together all the time. They're working all the time, not traveling every day, so they have time to write and practice - really hash through the tunes and do it. That makes the bands really strong. The main thing for Criston, though, is still live on stage. 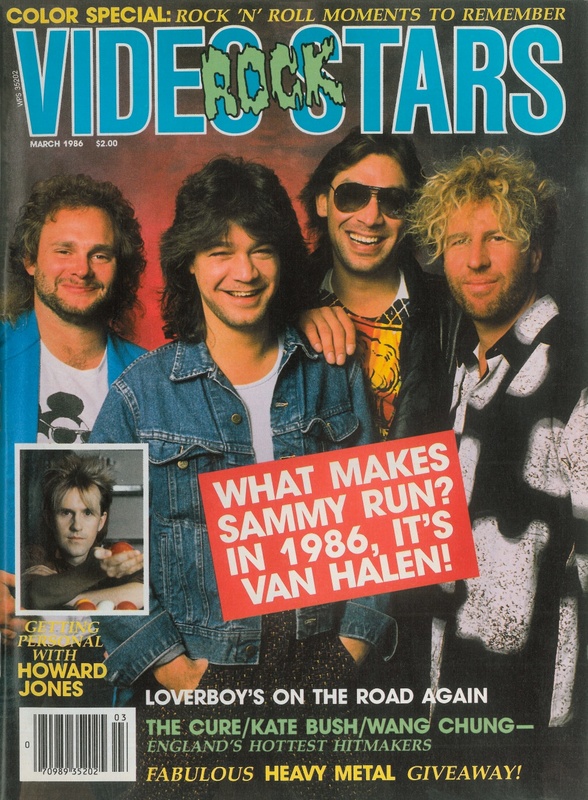 And, he'll get all the opportunity he needs as the band plans to tour continually throughout 1986. "When they go 'houselights to black,' and the lights go down and the crowd comes up ... that's it. Your heart's just goin' 'rap, rap, rap' and you say 'Let's Go!'"